TRR works in Makete District (Njombe Region) in the southwest of the country and in Nkasi District (Rukwa Region) in the west. The focus of its operations is around the village of Bulongwa (Makete) and the town of Namanyere (Nkasi). 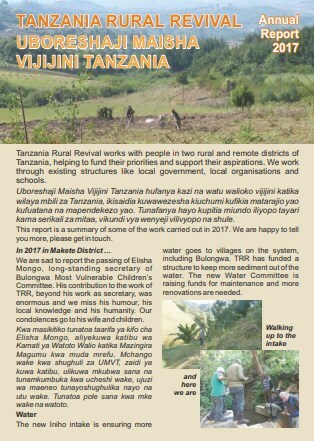 Tanzania Rural Revival works in partnership with people living in two remote and rural districts of Tanzania. 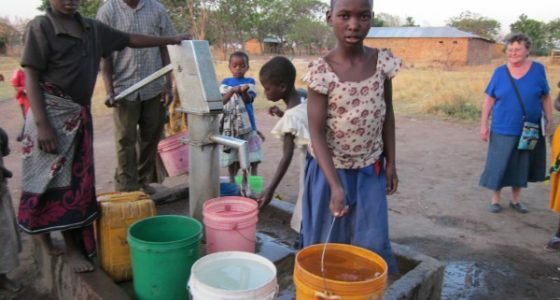 We help to fund their priorities and support their aspirations for community development. We are a small charity registered in the UK under the auspices of Global Justice Now. Uboreshaji Maisha Vijijini Tanzania is our name in Swahili. TRR is Sophia Ng’wango, Stewart Kiluswa, Anselmo Kapandila in Tanzania. John Fowler, Rosemary Fowler, Tony Janes, John Hough, Lesley Hough in the UK.